McLaren North Jersey in Ramsey Can Find Your Used Car For Sale Today! Are you interested in a particular vehicle but not quite sure how to got about picking one out? Then you will be happy to know that our absolutely free pre-owned car locator program can help you get a hold of the used vehicle that attracts your interest. The most amazing aspect of taking part in the leading used automobile locator program in Ramsey? By giving us the reins to your used car search, you will not just get the vehicle you need, but you likewise escape all of the troubles and stress that come with engaging with other, less trustworthy, dealers in the Ramsey region. 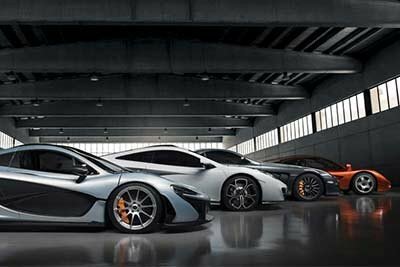 Once you fully grasp how crucial excelling on this front is to guaranteeing your time invested at the wheel in Ramsey is always a breeze, how could you ever settle for anything that is beneath the industry-leading commitment to excellent customer service and support provided here at McLaren North Jersey? If you are prepared to break down how our used vehicle locator program actually works, go ahead and set aside a little bit of time to follow along with the professionals here at McLaren North Jersey as we break down the particular details that make up this service. After doing this, you will have all of the insight you must possess to come to a well-informed conclusion when it comes to your automotive prospects. Getting off on the right foot with this dialogue requires delivering to you further assessment of how we find the right pre-owned vehicle for you and your family. To start, McLaren North Jersey needs a little bit of information from you to learn about the car that fits your concerns. Luckily, our uncomplicated and easy-to-use form available to you on this page is able to deliver this information to our used automobile specialists. Immediately after we collect this insight, we will get to work at once on leveraging our automotive industry resources to connect you with the exact used car that is right for you. Considering how quick and painless this whole undertaking is, why would you ever need to waste time rummaging around in the daily newspaper or fighting with misleading pop-ups and other excessive ads on untrustworthy pre-owned online websites again? Even more importantly, the group of experts found here at McLaren North Jersey make it a point to go above and beyond for the great people of Ramsey in every manner possible. To illustrate just how serious we are about this notion, you can always rely upon on our pre-owned car locator system being altogether free of charge to you. Regardless of the fact that other players in the auto marketplace might intend to siphon off as much cash as they can as part of assisting you in the search for the ideal used automobile, we believe presenting you with the assistance you require on this front is necessary to put together a legitimately outstanding dealership environment. Do Some Research Ahead of Time – Despite the knowledge that window shopping is undoubtedly an exciting part of the search for the perfect pre-owned car, try not to be drawn in by just the first reaction you have to a vehicle that strikes your fancy. Taking a closer look into the vehicle in question's reliability, interior amenities, and other inclusions that can have an impact on your daily routine will go quite a ways toward helping you decide if this vehicle is truly able to take care of your specific needs. Set Aside a Couple of Minutes to Talk with Family and Friends – Making use of the suggestions of others undoubtedly goes far when buying a pre-owned car. By sitting down and chatting with trusted close friends and loved ones, you can achieve a totally different perspective on your pre-owned car search – and perhaps come across a viewpoint or thought process that enhances how you plan out this process. Try to Be as Detailed as Possible – As you complete the following used automobile locator application, make it a point to be as descriptive as possible. The more information you provide to us, the more likely it is that we will get a hold of the perfect used automobile for you in a timely and efficient manner. Do Not Hesitate to Confer with McLaren North Jersey's Staff of Pre-Owned Authorities – If you end up dealing with uncertainties, please let us know! We are always here to help you, so feel free to stay in touch and keep us up-to-date if you want to reconsider the search for your next pre-owned car, truck, or SUV. With these recommendations in place, we have no uncertainties the used car that fits into your day-to-day drive (be it a McLaren Certified Pre-Owned or a vehicle from some other automaker) will be part of your life in the blink of an eye. What Is Next in the Hunt for the Perfect Pre-Owned Car? After covering all of the aforementioned info, there is most likely only one inquiry left to cover: "What do I need to do to start browsing for the right used automobile for me?" Fortunately, making progress on this front is as painless as filling out a quick form or grabbing your cell phone and making a telephone call to McLaren North Jersey. All we ask of you is to simply complete the survey we have provided on this page when it is convenient for you (do not forget to be as illustrative as possible! ), and we will handle the rest. If you need a little added information, feel free to connect with us at 201.639.7750 or stop by at our Ramsey location; no appointment is necessary because McLaren North Jersey is always willing to offer up its services to our good friends in Ramsey!